Top-floor corner-unit to rent in a brand-new modern and secure development. This is a 68sqm unit, consisting of 2 bedrooms and 2 bathrooms, open plan lounge, dining-area and kitchen. One covered carport are provided, with additional guest-parkings. The main-bedroom is en-suite with a shower and the second bathroom has a bath. The lounge flows out onto a covered balcony with a built-in braai. The modern kitchen has a breakfast nook, Whirlpool oven, glass hob & extractor and finished off with granite tops. The complex has 24/7 security with full access control and high perimeter walls with electric fencing. 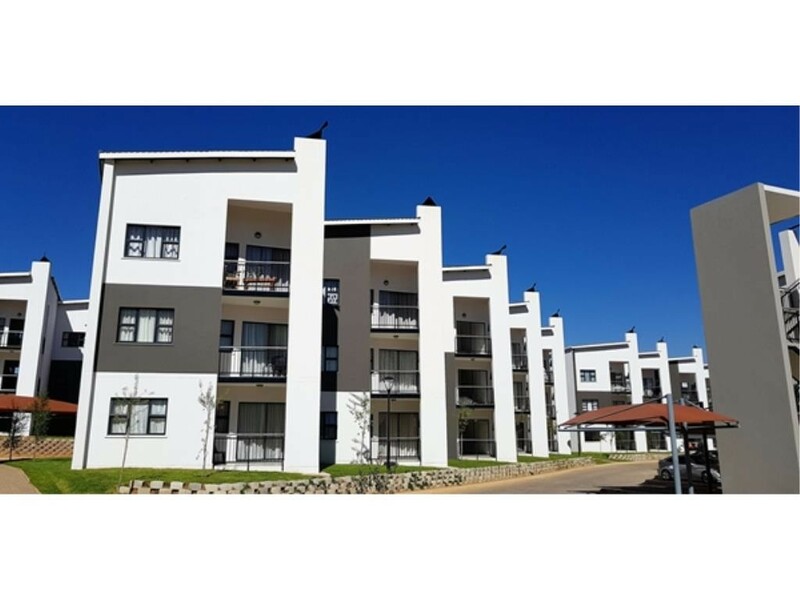 This development is very centrally situated, close to Boeing Street, Cornwall View Shopping Centre, various schools and with easy access to the R21 and the N1 highways. Available immediately. View this property before it is too late.